Last month Chanwoo Park, assistant professor of the Department of Mechanical Engineering at the University of Nevada, Reno, received a five-year, $400,000 CAREER award from the National Science Foundation. The Faculty Early Career Development (CAREER) Award is given to junior faculty at the beginning of their academic careers who focus on high quality research and education activities. The award that Professor Park has received will allow him to further his research in Nanotechnology, Micro and Macro-scale thin-film evaporation for electronic cooling, energy systems and wastewater treatment applications. The award will also support energy-centered STEM (Science, Technology, Engineering and Mathematics) programs for high school and college students in hopes of increasing minority students’ enrollment in engineering programs. Professor Park is director of the Two-Phase Heat Transfer and Sustainable Energy laboratory at the University of Nevada, Reno. He is the fourth faculty member in the Department of Mechanical Engineering and the 12th within the College of Engineering to receive the prestigious CAREER award. Another professor from the Department of Mechanical Engineering, Dr. Kam K. Leang, is among 10 scientists from around the nation selected by NBC News and the NSF to be featured in NBC’s series videos Science of Sports that highlight how science relates to sports in the Olympics. Dr. Leang, with funding from the NSF, has been working on his novel project using nano-materials to design high-performance ski and sports equipment for more than 10 years. His innovative ski equipment promises great stability to athletes' performances in Olympic games and significantly help athletes to reduce the risk of being injured in high-speed alpine skiing. Professor Park and Dr. Leang’s projects indicate the excellence in development of novel research and improvement of research methods and materials at the University of Nevada, Reno. The university has received $17 million in research funding from the National Institute of Health in 2013 and its annual research expenditures are about $58 million. Networking with researchers at the University of Nevada, Reno is a great chance for laboratory supply companies to explore market opportunities in the Nevada marketplace and demonstrate product capabilities to 16 clinical departments and 5 nationally recognized basic science departments in the university. 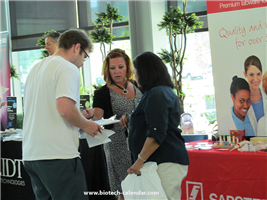 Biotechnology Calendar, Inc. is holding the annual BioResearch Product Faire™ Event at the University of Nevada, Reno to help laboratory supply companies meet face-to-face with the researchers, laboratory managers and lab supply purchasing agents. Last year, almost a hundred research professionals attended the UNR BioResearch Product Faire™ Event. Of these attendees, 27% were professors, purchasing agents and post docs, 14% were lab managers. These attendees came from 5 different research buildings and 10 on-campus departments. The next BioResearch Product Faire™ Event will be held on June 2nd 2014. 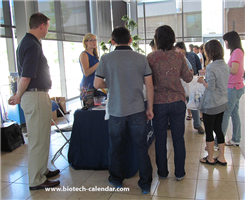 If you are a laboratory supply company and would like to know more information about the UNR BioResearch Product Faire™ Event on June 2, 2014, please click this button below. If you would like to take a look of different BioResearch Product Faire™ Event at different institutions throughout the nation, please read the National Show Schedule For 2014.